One of the many ways our guests unwind during their getaway to the Historic Smithton Inn is to enjoy a little gambling. 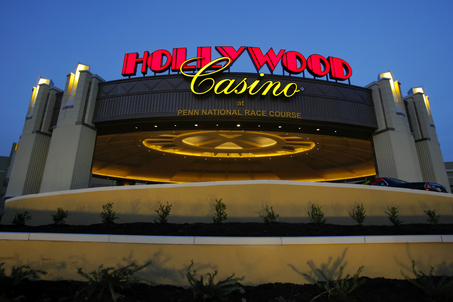 A mere 49 miles from our Lancaster County B and B is Hollywood Casino, where guests can enjoy the thrill of table games, slots, horse racing, restaurants and live entertainment. Gaming: Hollywood Casino features over 2,450 reel, video slot and video poker machines ranging from one penny to $100, with all the hottest games currently available. 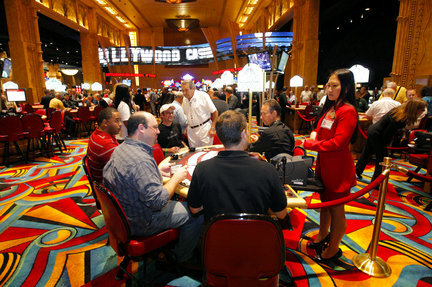 And with over 40 table games and 16 poker tables, Hollywood Casino has a game for everyone. Dining: Dining at Hollywood is always a special experience. The Casino offers a variety of choices, each with its own special flair, unique flavors, and the kind of red-carpet service you deserve. There are five restaurants to choose from, including a steak restaurant, sports bar, buffet. Entertainment: Hollywood On The Roof is Central Pennsylvania’s most popular venue for year-round live musical entertainment! Nationally-acclaimed Tribute Bands honoring legends like The Beatles, Billy Joel, Chicago, The Rolling Stones, and Neil Diamond are featured several times each month, while top classic rock and country bands help keep the joint jumpin’ every weekend. Click here to see upcoming acts. Beat the Heat in Lancaster County!